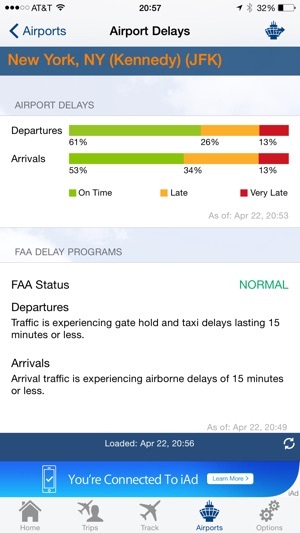 I am a former subscriber to a paid app for flight tracking. It is no longer in existence. I am an EA and track flights of multiple airlines simultaneously. I am grateful someone had the brains to keep a multi-carrier tracker app alive with many features from individual carrier apps. It is helpful to know where a plane is coming from when you schedule flights or are watching connecting flights. Spare planes are a tad expensive to have sitting parked at airports just waiting to be used so if your inbound flight is departing from a location impacted by weather that connecting flight you need to catch may not happen. Having an ability to see all the puzzle pieces allows me to change flights ahead of the crowds at airports waiting in customer service lines and keep my bosses moving. Even better, knowing where flights come from allows me to choose flights and routes based on point of departure. A Toronto connection is probably wiser in summer versus winter and so on. This app is a tool I depend on. Like anything else it can always provide new and different information but the creators of this app are updating and improving continuously so I have no complaints. 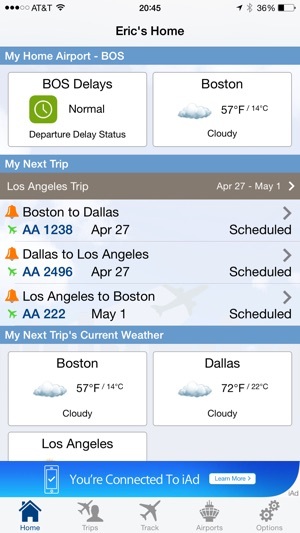 Good app to have if you deal with travel to any degree. I am not a flyer but I use this app constantly to follow the flights of family and friends that are very dear to me. My aunt and uncle were killed on a commercial jetliner many years ago and since that time I cannot ride on a plane! Secretly I’d like to stop all my loved ones from doing so but I know that is impossible. 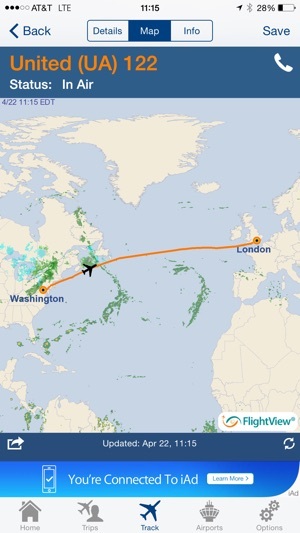 The Flightview App is the next best thing to helping me remain at peace and calm while let’s say for example my daughter is flying over the Atlantic on her way to England. Being able to actually see and track the plane in real time while it’s traveling, and giving me updated information helps me to be so much less anxious than I ever would have been had I not had such a tool! Thank you so much for making it possible for me to cope with my fear so much better by providing so much information regarding real flights in real time with the ability to see those flights moving along from destination to destination. It’s really wonderful !!!! 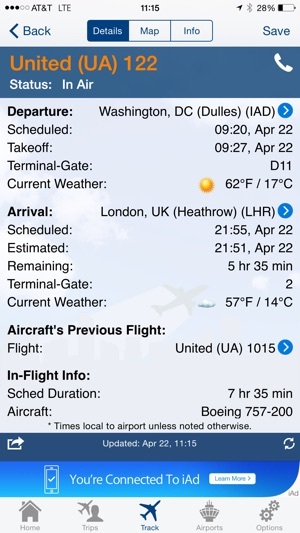 When this first app came out, it did not do a very good job tracking international flights but since then, it’s been great! 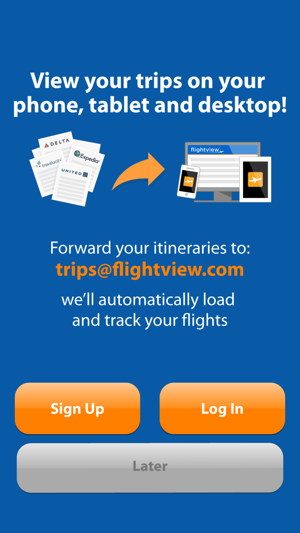 It’s the best, most up-to-date flight app I’ve tried. It knows when the plane has landed before the airport monitors do! And I love how it will tell you “departed” when the plane leaves the gate, “in air” when it has actually taken off; “landed” when the flight touches down, and “arrived” when the plane is at the gate. However, about 2 months ago (May 2018) it’s stated having some glitches and wasn’t as accurate as it has been. Flights not updating (said flight was “landed” but not “arrived” for 6 hrs before updated); late on sending notifications (got an alert at 12:59pm that a flight was delayed until 12:56pm, and by then, was already on the plane); can’t always find flight (found 3 out of 4 of my European flights, regardless of the one it couldn’t find being on the airline’s app). This app hasn’t had an update in 5 months...I’m thinking it’s due!